Eating whole foods is the ideal path to choose if you want nutrition and energy and low carbs. This is not surprising at all. All packaged foods have ingredients or preservatives that low carb dieters should be avoiding. Canned, boxed or wrapped foods from the grocery store are not as nutritious as fresh whole food. One benefit of eating whole foods is that you can eat natural whole foods almost as much as you want. You can still lose weight and look great. 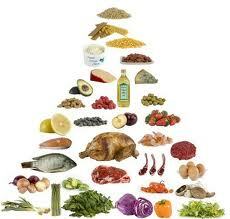 There are some fruits, vegetables, and protein sources that should become the center of your low carb diet. Be sure to include some lean meat protein sources. Some fruits do not need refrigeration, keep them in plain view. This helps you get into the habit of picking it up as you enter or leave the house. Check out the salad bars at your grocery store. Often the prepared fruits and vegetables can be convenient for you. They are already washed, sliced and prepared to make it easier for you to eat on the go. Think when you are shopping. Select fruits and vegetables that do not need a lot of preparation or peeling before eating. Just grab and go. Remember protein. Protein is essential for a healthy diet. It is necessary for building and repairing tissues in our bodies. Complete proteins come from animal sources like meat, fish, dairy, or eggs. These contain all the essential amino acids your body requires. Other examples of whole food/low carbohydrate protein sources are sirloin, steak, bacon, buffalo, veal cutlet, tenderloin, chicken, and turkey. Cheese is a nutritious food. Be careful about eating too many of these higher fat calories. Cheese is a great whole food you can enjoy while eating low carbs. Try cottage cheese, Ricotta (great on salads), cheddar, feta, or Colby.